A couple of months ago we saw an official unboxing of the Xbox One. Now Sony is ready to unbox their own PlayStation 4 with the #GreatnessAwaits hashtag. 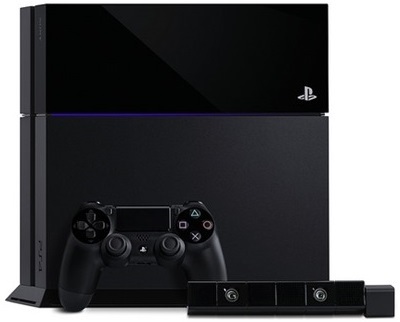 The PS4 will be joining Microsoft's console this holiday season. The extravagant unboxing video features the 500GB PS4, which will apparently ship with a limited time Network Voucher, a quick startup guide manual, a single DualShock 4 controller as well as a single HDMI cable and that all-so-important AC power cord. Sony will also be including a mono headset as part of the PS4 bundle in an attempt to get more gamers to use audio communication during online multiplayer games. A single USB cable will also be provided to charge your DualShock 4 wireless controller when nessesary.